One of the signs you're truly a grown-up is when you have to get insurance. It means you’re maturing, but is also means you will have a lot more financial responsibility. Choosing the right insurance can save you hundreds of dollars every year. Here are some tips to make your decision a little easier. Home and contents insurance can be purchased individually or together, the latter often promising a cheaper price. In differentiating the two, imagine you pick up your house and turn it upside down. 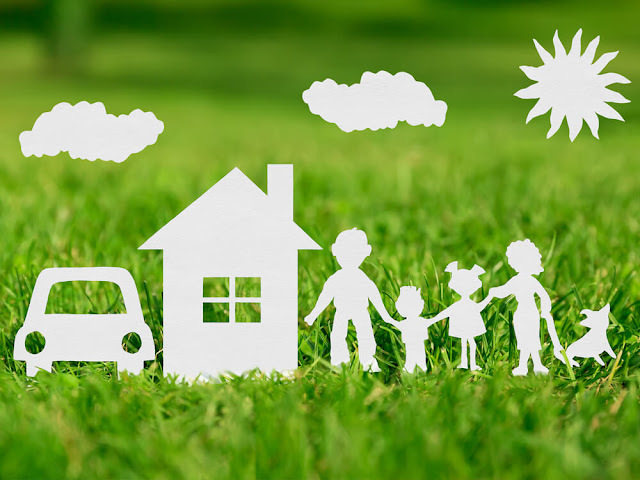 Home insurance is everything that would not move - walls, roof, windows, and so on. In insuring your home, you need to consider your income and ability to maintain your payments. Contents insurance will vary depending on the amount of coverage you need. For those with a lot of high-end items, you will need a policy designed for higher coverage. Do you drive to work or school, or do you work from home? Do you park in secure parking? What type of neighbourhood do you live in? How many miles do you normally drive? All of these variables can go into creating your personalised car insurance package. This means you are covered for what you need, and not what you won’t use. Companies like InRoads, a prime agency of auto insurance in Ontario allow you to do all these things online, making the process easier. Staying healthy is one of the most important things you can do. For general health maintenance or those unexpected bumps along the way, health insurance can be a blessing. Meet with your doctor to determine any pre-existing conditions, making sure to note them in your insurance application. Consider what procedures you may need in the future and include them in your package. These may include treatment for genetic predispositions to cancer, diabetes, heart diseases, among others. Perhaps you are already past child-bearing years and therefore don’t need it included, whereas hip replacement may be in your future. Take your time and remember that insurance is there for the unexpected, so consider all eventualities. Travelling is meant to be a time of fun, but that doesn’t mean things can’t go wrong. Getting travel insurance is a great way to protect yourself from accidents, lost baggage, injuries, and can even help you get home in the event of a war or terror incident. All packages vary, and you will need to check before buying. If you are visiting multiple locations, make sure all are covered. Like many other legal and financial commitments, it is always recommended that you consult with a professional. An insurance broker can help you determine the amount of coverage you will need, and explain some of the trickier bits of terminology. Find someone you are comfortable with, and don’t sign any documents until you have carefully read it from cover to cover.